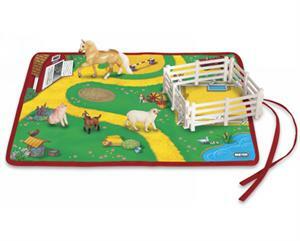 Bring Stablemates fun wherever you go with this Roll and Go Play Set. 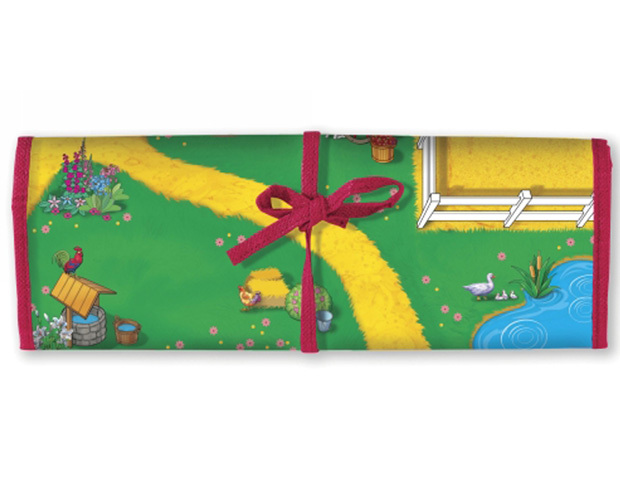 Contains a full color durable vinyl play mat to stimulate imagination. When it's time to travel, store your Stablemates safely in the pockets on the back of the play mat. An 11" x 14" play area! Roll them up and take them everywhere! Includes: Stablemates palomino Peruvian Paso horse, farm scene play mat, pig, Sicilian goat, sheep and 4 pieces of fencing.